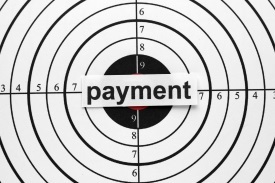 Have you Noticed A Continuing Slow Payment Trend? Building upon recent posts concerning cash flow, it seems that many companies are still taking longer than ever to pay their invoices. This is a dilemma for small businesses waiting on invoice payment to effectively cover operating costs. Even though the economy is slowly recovering, many large corporations are still pushing smaller suppliers into long payment cycles of up to 90 days, threatening to back out of deals or find new sources if their demand for a 90 day payment cycle is not accepted. This can simply not be viable for some small businesses that do not have the sway to delay payment to their suppliers. Before we launch into the benefits of factoring your accounts receivables, let’s revisit a few ideas that may help the payment process along. Be tenacious when setting terms. Many smaller businesses will not try to challenge the payment cycle demanded by a future client, or even a client with whom they are already doing business. It is important to stand up for a shorter payment cycle by clearly stating the reasons it is necessary. Large corporations are demanding those long cycles because they want to increase their cash flow and lower their financing costs. Fight for the business and make it happen, after all remember that these large companies have chosen you for a reason. If you are able to negotiate, you may be surprised at how options suddenly open up. If you can arrange to get your invoices on a shorter queue it could make the difference between taking the business or deciding it would be too difficult to make payments to your suppliers work. Make sure your invoices are presented correctly. We have covered this topic in prior blogs, but cannot stress enough how important it is to make sure your invoices are formatted to the individual specifications of your larger customers. Have you included any required purchase order number? If so, is it located in the correct place on the invoice? Omitting this number if it is required can mean your invoice gets totally lost in your customer’s system. Payment can often be delayed for the smallest inconsistency, causing frustration all around. New vendors will also often need to complete a new vendor form, or annual agreement in order to submit invoices. Ask for direct deposits or electronic transfers. Are your customers paying by check? You can also set the rules and request direct deposit or electronic transfer on the day the invoice is due. Waiting for a check to arrive after you have already waited 60 to 90 days for payment is not conducive to a good customer relationship. Don’t be intimidated when you call for payment and they make excuses. Make it clear that you need payment. Offering a discount is also an option if you want to try and get paid more quickly. Put consistently late paying customers on a credit hold. Those customers who make no effort to ask for help or come up with a solution for payment can be put on a credit hold. Be firm but also understand that if your company needs payment to meet operating, and other costs, it may well not be worth working with those customers in the future. If you can relate to many of the issues mentioned above, invoice factoring may be an excellent answer. If you are not in a position to demand an extension to your payment terms, consider factoring your invoices. Not only does it help to finance your invoices quickly, it also provides an excellent answer to your collection concerns as the factor acts as your accounts receivable department. Imagine receiving cash on your invoices within 24 hours, at a great rate, with exceptional customer service, while not having to worry about collection management. Since invoice factoring is not a form of credit, you are also not incurring debt in the process. Since the credit of your customer is checked by your factor you are also reducing the risk of non-payment due to bad credit or a history of late payments. The process is simple. Don’t continue to wait 60+ days for payment!